Microsoft and 343 Industries will launch Halo 5: Forge on September 8. 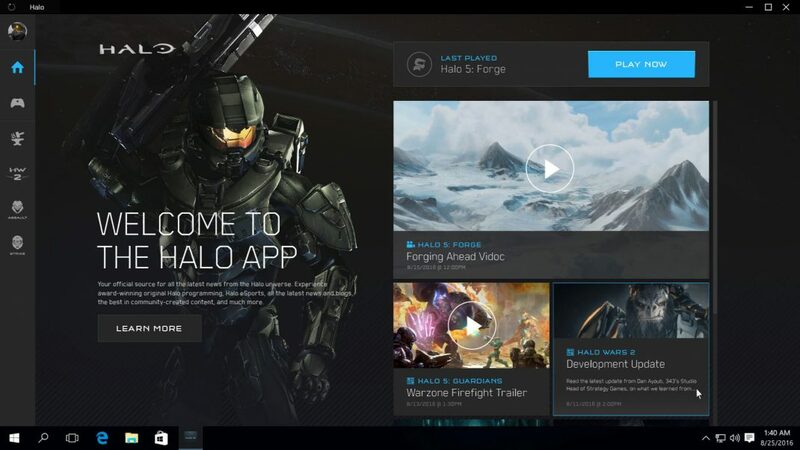 Today, the company announced that the new Halo app is also coming to the Windows Store on September 8. With new Halo app, you will able to find, download, and launch all Halo games that are available on Windows PCs. Halo app will also include the latest news, videos, tutorials, featured content, update notes and more from the Halo universe on your PC. Our vision is for the Halo app to become the best way for our fans to get the latest information and details about all of our games, both past, present, and future. When we launch the Halo app with Halo 5: Forge in a couple weeks, the Halo 5: Forge game page will be your portal into the game. From here you can quickly jump in and start playing. As part of this experience, we will feature new Forge tutorials to help both new and veteran Forgers create and play great new Halo 5 game experiences. We will also share some of the top fan-created maps, games, and game clips and of course – fans will always be able to find latest news and info on Halo 5: Forge itself.